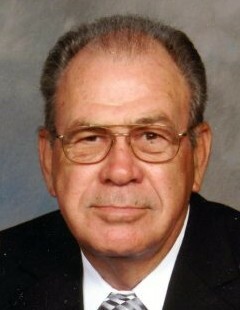 Mr. Thomas Duane Isley, Jr., 82, of Lexington, passed away on February 10, 2019 at his residence. Tom was born on December 13, 1936 in Davie County, NC to Mr. Thomas Duane Isley, Sr. and Mary Ada Douthit. Tom proudly served in the U.S. Naval Reserves. He was the owner and operator of Winston Radiator Works. He was a member of Friedberg Moravian Church since 1991. In addition to his parents, he was preceded in death by his loving wife, Lillian Morgan Isley. He is survived by his daughter, Paula Isley Lumley and husband Michael; his son, Rick Isley; two grandchildren, James Lumley and Talulah Isley; and one sister, Brenda Cumby and several nieces and nephews. A funeral service will be held at 3:00 PM on Wednesday, February 13, 2019, at Friedberg Moravian Church with Rev. James C. Newsome and Rev. Dan K. Nelson officiating. Interment will follow at the church graveyard. The family will receive friends one hour prior to the service at the church. In lieu of flowers, memorials may be made to Kate B. Reynolds Hospice Home, 101 Hospice Lane, Winston-Salem, NC 27103 or Friedberg Moravian Church, 2178 Friedberg Church Rd, Winston-Salem, NC 27127.